The used Dodge Charger is a full-size sedan that’s known for its high-octane performance, family-friendly cabin, and world-class safety. The Charger also provides luxurious comfort features, including stylish leather upholstery. You’ll also love Dodge’s high-tech infotainment features and smartphone integration options. If you’re shopping for a used Dodge Charger, check out our buying guide to learn more about how these models have changed over the years. 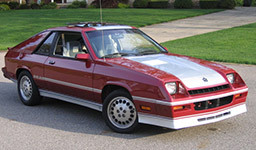 When most Americans think of a used Dodge Charger, they think of NASCAR-level performance and chiseled exterior style. Under the hood, you’ll find a wide range of engine options – all of which provide thrilling speed and a responsive performance. 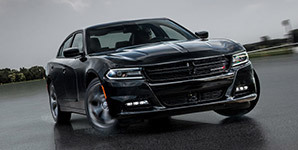 After years of high-speed action, the sixth-generation adds rich interior style and modern safety to the Charger’s repertoire. Inside, both rows of seating supply extensive head- and legroom for long-term comfort. Seating is plush and supportive. Upscale features, like leather upholstery and heated seats, offer a luxurious experience. The trunk supplies plenty of space for your golf clubs and weekend bags. Use the 60/40-split rear seat to expand cargo space in a snap. These Chargers were available as subcompact hatchback coupes. Shoppers could choose between a five-speed manual and three-speed automatic transmission, both of which sent power to the front wheels. 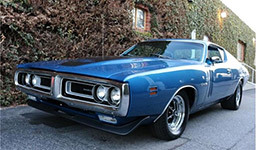 When the Dodge Charger reappeared for the fourth generation, it offered a new exterior style and increased interior luxury. Shoppers could also choose the special Daytona model for enhanced performance. 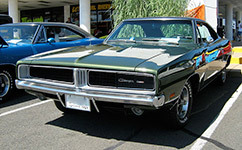 Once again, the Charger was a stylish two-door muscle car that provided impressive interior comfort. Dodge introduced six different style packages for the third generation, giving shoppers a wide range of options, including a ducktail spoiler and semi-fastback rear window. The second-generation Dodge Charger was all about muscle and style. 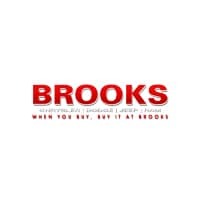 These models are easily recognizable by their undivided grille and hidden headlights. 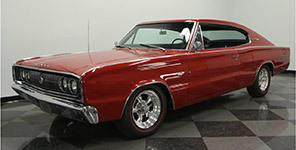 In 1969, Dodge introduced a new aerodynamic shape that served as the basis for the famous Dodge Charger Daytona model. The original Dodge Charger featured a stylish two-door body and fastback roofline. Inside, passengers fit comfortably in the Charger’s four bucket seats. The powerful V8 engine supplied plenty of heft for a speedy ride.